In Book 3 of the Dragonslayer series, Astrid accepts her duty and follows the winter route--until she's bitten by a dragon. Everyone knows dragon bites are poisonous and deadly, so she reluctantly accepts her impending death. In a twist of fate, she survives. Desperate for an explanation, Astrid believes she has somehow been protected by the black stone she keeps with her at all times, a stone that emerged from the sole of her foot a year ago. Determined to find out what the stone is and what kind of powers it possesses, Astrid begins a journey that leads her to alchemists and an army of men under the rule of the powerful warrior, Mandulane, the acting lord of the Krystr army. Mandulane's mission is to spread the word of the new god Krystr, which preaches the evil intent of women and the danger they pose to all men, who are entitled to dominate the world. Rumors about this new god and army have spread, but Astrid is the first Northlander to encounter them. Soon, she stumbles upon a secret of a far-reaching and mind-numbing plot that will impact the entire world. Astrid must find a way to spread the news of this threat and protect her people and everyone else at risk. She's convinced the answer lies inside the Stone of Darkness, and she must find a way to understand the stone and the powers she's convinced it must hold before it's too late. The third book of the Dragonslayer series, yet again, impresses and confirms faith in author Resa Nelson. The Stone of Darkness takes readers on another journey through Astrid's world, but this time her travels are even more dangerous. With the introduction of a group of women who have learned to fight with swords, the Iron Maidens, and a closer look into the threat facing Guell, the Krystr army, Astrid's story remains mysterious and daunting. 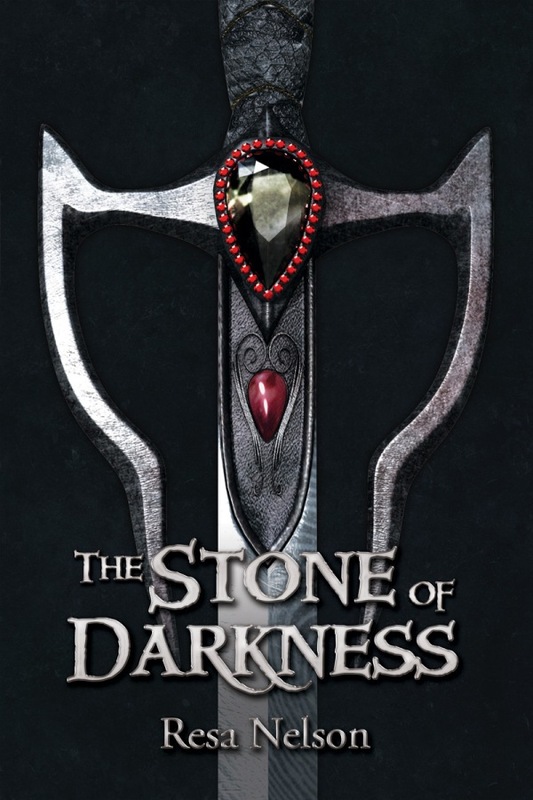 The Stone of Darkness digs much deeper into Astrid's mental makeup. Different sides of her attitude are shown and her pent up emotions begin to play a large role in her journey. The aspect that makes this journey of Astrid's so compelling lies within the unknown: the unknown power behind the stone of darkness, the unknown path of the Krystr army, and the unknown path Astrid's challenges will lead her. After already reading through two of Nelson's books in this series you would think you'd be able to predict what's coming next, faster and easier. Thankfully, Nelson manages to keep the veil over your eyes as Astrid's story ends with a completely shocking twist! Fantasy fans will readily enjoy the continuation of the Dragonslayer series. Especially as the conclusion of The Stone of Darkness raises questions and ends with the mother of all cliffhangers!